Friends, here’s a fantastic set of hand-crafted organic textures pack in vector format. 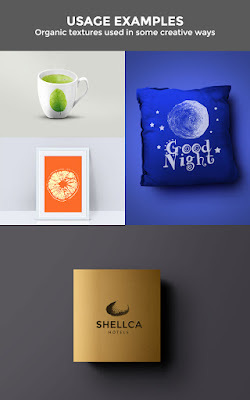 You can create some stunning yet unique illustrative design with these texture elements. You can use them in your creative business card designs, greeting cards, on mockups or logos or as background textures. Since these are PSD vector elements, you don’t have to bother about the size and quality as you can increase its size to infinity.